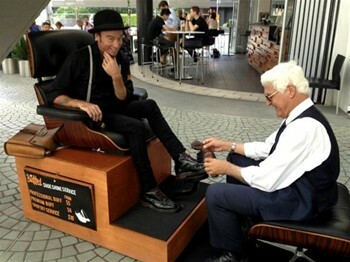 Take a quick break, put your feet up and enjoy a premium shoe shine! We are located in the foyers of corporate buildings and airport hubs in Brisbane, Sydney and Melbourne. Locate a Buffed site near you! Our large chairs are also available for events. Have Buffed service your next event.